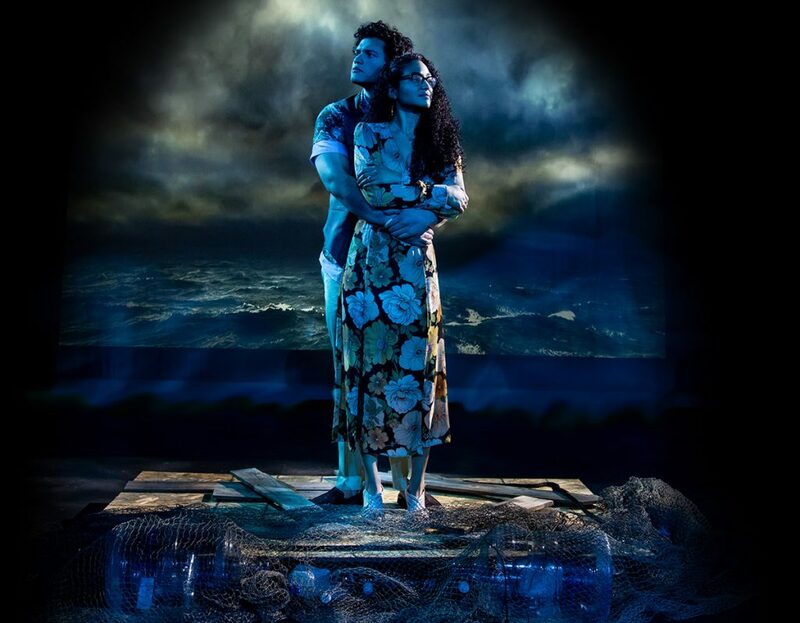 The three year grant award from The Meyer Memorial Trust to fund Bag&Baggage’s play commissioning program has resulted in the first of three major, world premiere adaptations of Shakespearean plays: The Island In Winter, or La Isla En Invierno by Cuban-American playwright Carlos Zenen-Trujillo. The production, which transports Shakespeare’s The Winter’s Tale to a small village in Cuba and the bustling streets of Little Havana in Miami, will premiere at The Vault Theatre and Event Space in Hillsboro on March 7, 2019. The Problem Play Project is a nationally recognized effort to increase diversity and equity for Bag&Baggage, both in terms of the playwrights, but also in terms of the actors and artists working on the show. The idea, which was born out of B&B’s 2017 hit Romeo&Juliet (Layla&Majnun), which was a cross-cultural mash-up of Shakespeare’s story of star crossed lovers and the Persian masterpiece Layla and Majnun by 12th century poet Nizami Ganjavi, seeks to explore some of Shakespeare’s trickiest texts through an equity lens. Carlos Zenen-Trujillo’s proposal to adapt Shakespeare’s The Winter’s Tale with a Cuban American immigrant’s perspective was chosen by an 18-person panel of experts as the first commission of the project. “Shakespeare’s The Winter’s Tale is a story about two communities, separated by an ocean, and is about the search for identity and a place in the world when you have been forced to leave your home. Carlos’ proposal was a perfect match for what B&B wanted The Problem Play Project to do; connect the themes of Shakespeare’s plays to the lived experiences of our diverse community. By moving the story to Cuba and Miami, and setting it in post-revolutionary Cuba, Carlos was able to draw a powerful, direct line between Shakespeare’s original and a unique, contemporary interpretation. It really is a remarkable new vision of the play,” said Palmer. The cast of The Island In Winter is comprised largely of actors of color who have never worked with B&B, or even in Hillsboro, before. Of the eleven actors, seven are artists of color, and predominately of Latinx heritage, bringing an entirely new, diverse range of artistic voices to B&B’s audiences. The play itself combines Shakespeare’s language with new interpretations of the text, translated into Spanish, but in a way that makes the play accessible to both English and Spanish speaking audiences. Among the actors making their first appearance with Bag&Baggage are; Ricardo Vasquez, who plays Polisteno, the capitalist with the heart of a poet, who will be familiar to Portland-area artists from his work with Milagro, Original Practice Shakespeare Festival, and others; Brandon Vilanova as Florizel, who recently appeared as Hamlet in Penguin Production’s performance of Hamlet in Newberg, Oregon; Anthony Green as Leonte, who worked with B&B in their 2018 production of Death and The Maiden and is a regular performer with Milagro; and Shelley B Shelley as Hermione, who has had a long history of performing with Artists Repertory Theatre, Passin’ Arts, and many other theatres in Portland. The production crew for the show also features a number of new artists to Bag&Baggage, including Pedro Bautista as Assistant Costume Designer, Gabriel Costales as Lighting Designer, and Yasmin Ruvalcaba as Assistant Director. The Island In Winter, or La Isla En Invierno opens on March 7, 2019 and runs through March 24 at The Vault Theatre in downtown Hillsboro. More information, and online ticket sales, at bagnbaggage.org. Previous PostPrevious Anne Frank: Her Photos. Her Story.